A silent protest at Mona Vale Hospital on Wednesday will honour its staff while registering campaigners’ anger over the closure of its emergency department and other acute services. 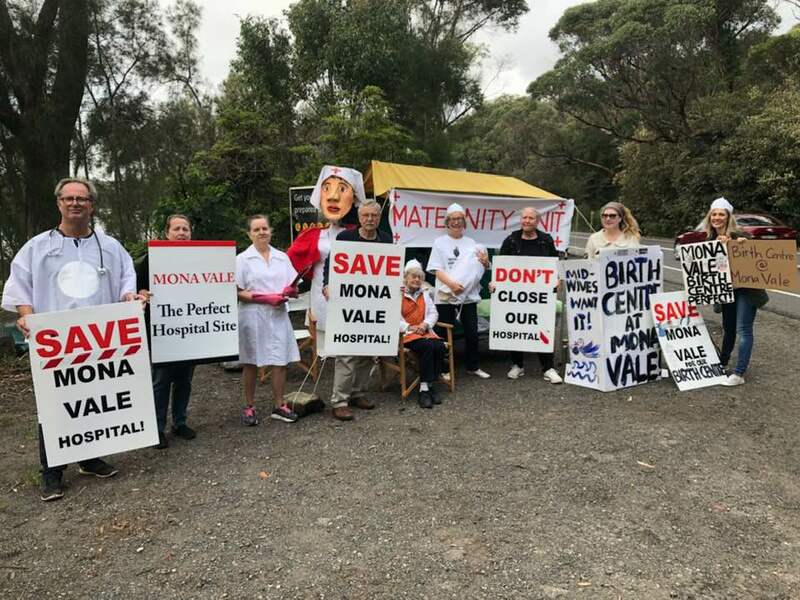 The protest follows a demonstration this week, in which Save Mona Vale Hospital campaigners set up a mock “Mobile Maternity Unit” on Wakehurst Parkway. SMVH committee chairman Parry Thomas said the respectful rally would take place on the day patients were transferred from Mona Vale Hospital to the new Northern Beaches Hospital at Frenchs Forest on October 31. It would follow the closure of Manly Hospital and the Mona Vale Emergency Department the previous day. “It’s a critical time in the history of the hospital and we need to represent the community view, which is in direct contrast to that of the government,” Mr Thomas said. “First of all, we are choosing to have a silent protest out of respect for the patients being moved. “It also reflects how the government has responded to the community – with complete silence. Anyone who would like to join the demonstration should meet at South Mona Vale Headland Reserve – next to the hospital at the end of Coronation Street - at 8.30am on Wednesday. Mr Thomas said the group set up the mobile maternity unit on Wakehurst Parkway last Wednesday to draw attention to the fact that it would take significantly longer for women in labour to reach the new hospital. “That will inevitably mean more roadside births,” he said on Wednesday. “We figured we needed to come up with some sort of solution - so we’re testing this one out today. Mona Vale Hospital’s maternity and paediatric units were closed in 2009 for asbestos removal and renovations at a cost of $2.5 million, reopening just over five years ago. For some time, it was proposed that all maternity services should be based at Manly Hospital. During the renovations, Pittwater MP Rob Stokes said that: “Returning maternity services to Mona Vale was one of the key election commitments of the Liberal Government”. 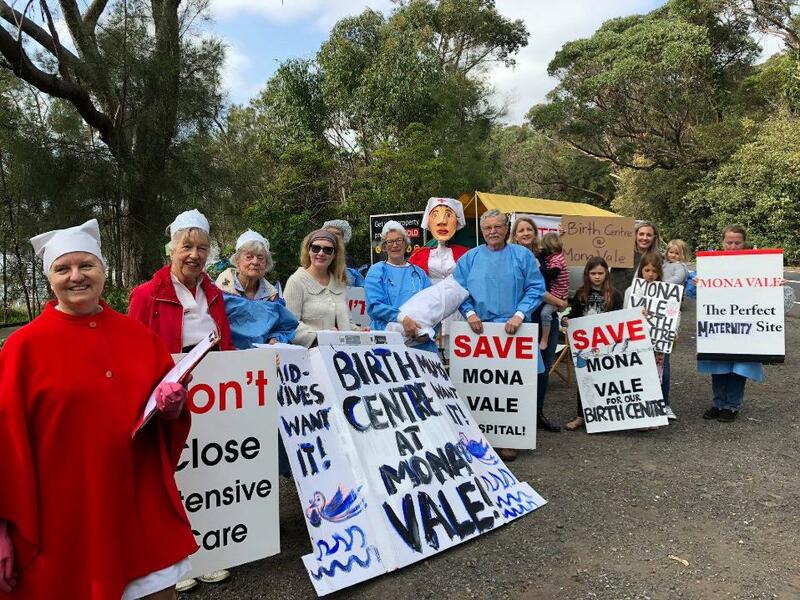 “Reopening Mona Vale’s maternity ward will reverse the trend of essential health services being withdrawn from our local hospital and help provide expectant mums with the certainty they deserve,” the Pittwater MP said in a September 2011 statement. “Our community felt the impact of many absurd decisions by the former Labor Government – but closing our local maternity ward was deceitful and cruel. Doula Helena Mooney, from Friends of Northern Beaches Maternity Services, was also “on duty” at the “mobile maternity unit” on Wednesday, and called for the maternity department at Mona Vale Hospital to be retained. "The Northern Sydney Local Health District and Healthscope – the private operators of the new Northern Beaches Hospital - are meant to engage with consumers in a meaningful way about the future of our health services,” Ms Mooney said. “The process has been a sham and local citizens have been ignored. It's time to be heard. “We are asking for our public maternity services to be protected at the new hospital, including an expansion in Midwife Group Practice which ensures continuity of care with a known midwife and leads to better outcomes for women and their babies. Another “staff member” at the mock hospital was retired obstetrics nurse Elizabeth Aird. Ms Aird, 91, explained her concerns about the extra distance for patients travelling to Frenchs Forest. “As a fourth year nurse at Manly Hospital in 1954, I was certainly aware of patients who did not survive the emergency dash by ambulance or car from the northern beaches,” Ms Aird said. “It took much lobbying of the government and community fundraising before Mona Vale Hospital opened in the 1960s. “Undoubtedly, Mona Vale Hospital emergency department saved lives. “Now we have gone backwards, and again face a long drive to the nearest emergency department at the Northern Beaches Hospital.